GlaxoSmithKline has spent approximately $1 billion so far to settle litigation claims regarding birth defects, according to an article published in Bloomberg on July 20, 2010. In 2005, the US Food and Drug Administration issued a warning that antidepressant drugs with a Selective Serotonin Reuptake Inhibitor such as Paxil could put children at risk of birth defects if taken by pregnant mothers. Estimates are in the millions of at-risk children of parents who were prescribed such medications. Though GlaxoSmithKline acted quickly to settle impending lawsuits related to the drug Paxil, attorneys remain available to inform parents of affected children about their legal options. Each new case can have its legitimacy evaluated by these same lawyers. Thousands of claims by victimized families have been filed through The Paxil Birth Defect Resource Center at PaxilLawsuit.com. This center is a one-stop resource for children stricken with birth defects because of the prescription medication Paxil. The center can provide answers to your questions today. Drugs like Paxil and Zoloft have been found to cause birth defects in children of pregnant mothers taking these drugs by experts with the National Birth Defects Prevention Study of Infants, the FDA, New England Journal of Medicine, University of Ulm and Aarhus University in Denmark, University of California at San Diego and Boston University. Such birth defects found related to mothers taking Paxil during pregnancy are: skull deformities, lung conditions, abdominal defects, club foot, brain defects, heart defects and spinal defects. Paxil has been on the US market since 1992 and is one of the most widely-prescribed antidepressants on the market. Ten years after it became available, the Los Angeles Times published an article on December 15, 2002 estimating that in that year alone, 37 million prescriptions were filled. Just five years later, in 2007, the FDA calculated 19.7 million prescriptions of Paxil were filled. 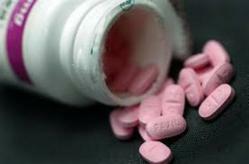 In 2010, annual reports showed that Paxil’s manufacturer, GlaxoSmithKline, earned in excess of $5 billion in profits. GlaxoSmithKline has spent approximately $1 billion so far to settle litigation claims regarding birth defects, according to an article published in Bloomberg on July 20, 2010. On average, settlements amounted to $1.2 million in approximately 800 separate cases. Even families that have yet to file a claim still retain their legal rights, despite the fact that hundreds of cases have already settled. Top attorneys around the United States work with The Paxil Birth Defect Resource Center at PaxilLawsuit.com, helping families victimized by birth defects after their mothers took Paxil during pregnancy. Families who believe they have a valid claim should be immediately informed of their rights by professionals working with the Paxil Birth Defect Resource Center. By visiting PaxilLawsuit.com, affected families can learn more information about the drug Paxil, birth defects related to the medication, symptoms, side effects, Frequently Asked Questions and treatment options. Information is also available to find an experienced Paxil attorney to help families recover.